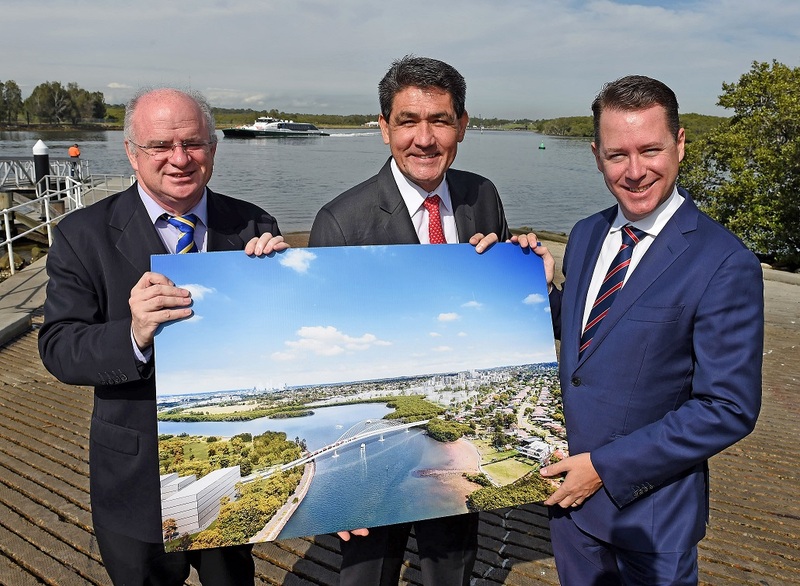 12 March 2018 – PAYCE and the City of Parramatta Council have signed a Memorandum of Understanding (MOU) for the delivery of a new bridge spanning the Parramatta River from Melrose Park to Wentworth Point, known as the Gateway Bridge. PAYCE is the major landowner in the Melrose Park area and has agreed to procure and fund the costs associated with the detailed planning and design of the project. PAYCE Director, Dominic Sullivan said the new bridge will facilitate public transport access to the Melrose Park urban renewal precinct, assist Transport for NSW with the delivery of the proposed Stage 2 of the Parramatta Light Rail project and provide much needed public transport infrastructure for the Wentworth Point peninsula. “The new Gateway Bridge will also link the two communities of Melrose Park and Wentworth Point by bus, bicycle and pedestrian access,” he said. Mr Sullivan said there would be consultation with the local community after the design process is established. He thanked Council for its initiative and support of the project which will benefit both the local and broader community. “We want Melrose Park to be a standout development and we recognise that public transport connectivity will play a vital role if that project outcome is to be fully realised,” Mr Sullivan said. Melrose Park is one of the largest urban renewal projects planned for Sydney and comprises a multi-staged mixed-use development resulting in over 1,500 new jobs, new housing, including affordable and key-worker accommodation, commercial office and retail uses. Also planned is a range of new and enhanced community facilities, public parks and other wider community benefits.